Beginning as a childhood hobby and then later to furnish his and his wife’s home, Bill Truitt became highly skilled in custom woodworking. Soon orders from other folks started to come in and ‘Bill Truitt Wood Works’ was born in 1987. Bill built a name in custom cabinetry and today ‘Bill Truitt Wood Works’ is synonymous with high quality cabinets and furniture that live up to the company slogan “building a better reputation.” It was Bill’s goal from day one to develop an enterprise that he could turn over to a qualified buyer. Bill believes he reached that goal. Roger Harry built Gatewood Builders, Inc from the ground up, specializing in new construction and remodeling. 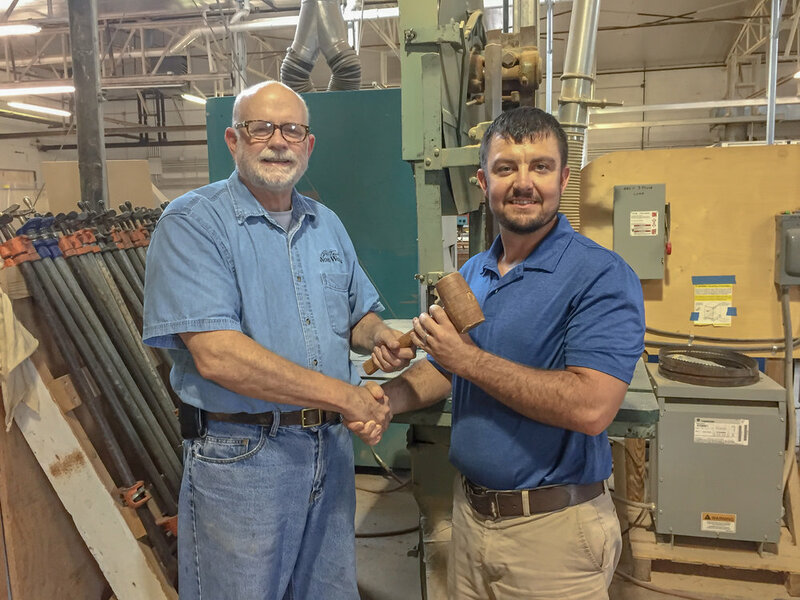 Bill and Roger met through a mutual acquaintance, and after a decade in his field, Roger Harry agreed to acquire Bill Truitt Wood Works with the high standards for quality being maintained. Today, our work is featured in many beautiful and high end homes in Charlotte, NC and surrounding areas. Our team strives to keep with “tried-and-true” methods while also staying in stride with an ever progressing world. Many of our processes are still hands-on resulting in a truly custom made final product. With 30+ years of experience represented in our shop, we have offered training for some of the next generation of skilled woodworkers and have had offers to start a training program at local universities. We work closely with designers, builders, and homeowners to build your cabinets to your specifications. We invite you to meet with our staff to preview samples and discuss options for your next project. Located in the heart of Charlotte, we serve the Queen City and surrounding neighborhoods. With everything from drawing to finishing, we can facilitate it all in our shop. We invite you to schedule a tour with us to see our process and options. Start building your dream kitchen, bathroom or custom closet.